How can you ensure the success of your next rapid improvement event and avoid the pitfalls experienced by so many others? Here’s our best tip – use software to manage the project before, during and after your event. Here is how it can help. 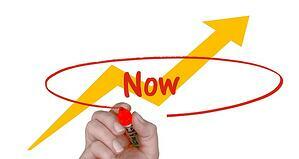 A rapid improvement event should be considered a significant investment. People will be focused on a particular challenge, rather than the work they do on a daily basis. That’s not something that most organizations take lightly. You can do a rapid improvement event without software to support it, but why not give your team the tools they need to increase the odds of success?